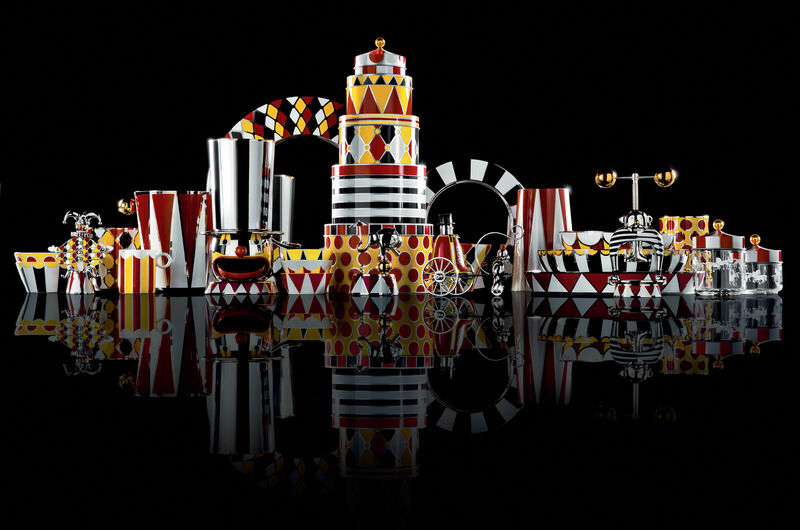 Marcel Wanders presents this piece with a poetic, somewhat poignant story: a ringmaster turned slightly crazy, who thinks he is still in command of the circus, and instead spends his days being transported around by his trained monkey. 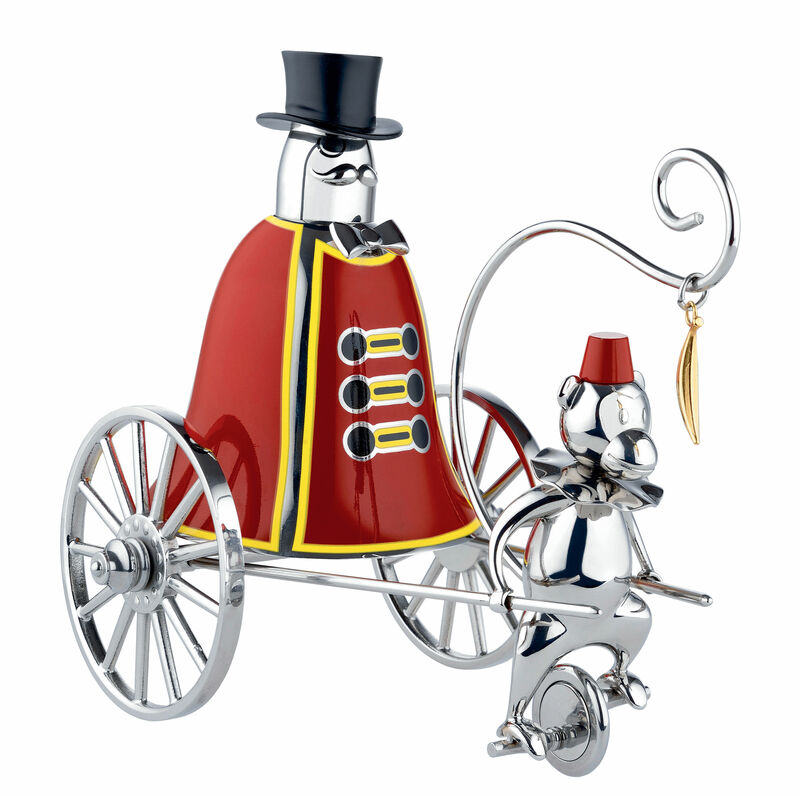 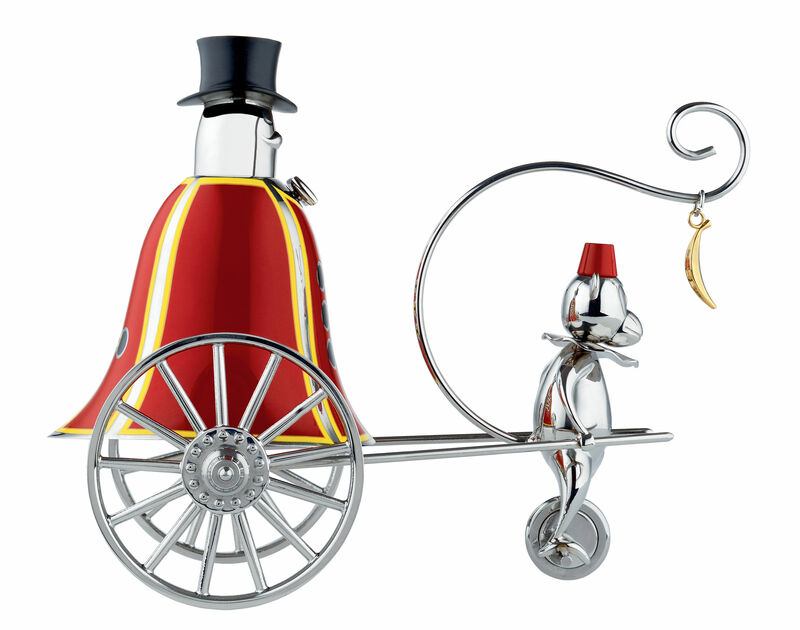 From this tale an enchanting object comes to life: on a small shiny carriage stands the imposing figure of the “Ringleader”, with his distinctive red coat, elegant top hat and thick black moustache. 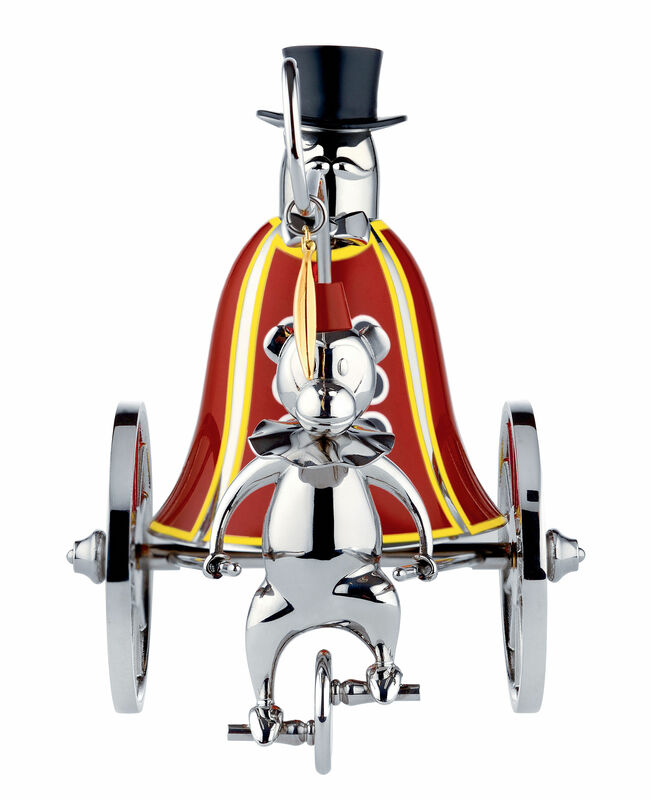 Before him his little monkey, endlessly toiling, fuelled by his longing for the unreachable banana suspended in front of his eyes. 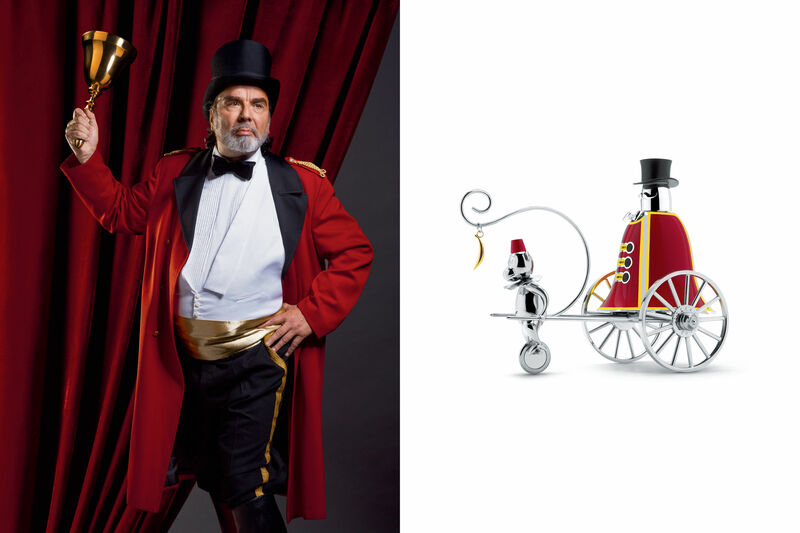 With a strong tap on the ringmaster',s top hat, the object's function becomes clear: “Ringleader” is a stylish call bell, the mechanism of which is concealed under the broad crimson tailcoat."